Easter 2019 is here this weekend and what’s could be better than celebrate the festivities with some great online casino bonuses? Are you looking for some fun and exciting no deposit bonuses, high-value deposit match offers, welcome bonus packages or no wager casino spins? If so, check out the short guide here below and get straight into some of the hottest online casino action on the planet! 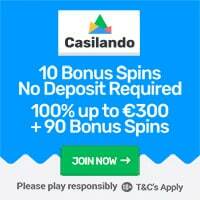 10 No Deposit Free Spins + First Deposit Bonuses at Casilando! Click here and visit Casilando and claim your 10 No Deposit Spins and more! Get 21 No Deposit Spins in Book of Dead and 121% up to €/$300 on First Deposit! White Hat Gaming powered 21 Casino is fully loaded with great promos and a magnificent collection of games from NetEnt, Play’n GO, ELK Studios, Microgaming, NYX Gaming and more. This brand is fully licensed by the UK Gambling Commission, the Malta Gaming Authority and the Swedish Gambling Authority (Spelinspektionen). New and eligible players are able to start their journey at 21 Casino with 21 no deposit spins in the Book of Dead video slot (not available for UK players). But what’s even better is the first deposit bonus of 121% up to €/$300. The minimum qualifying deposit is just €/$10 and the bonus wagering requirement is a low x35. 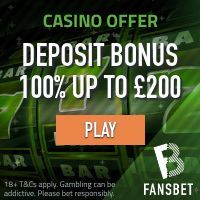 Click here and join 21 Casino and grab your No Deposit Spins and get a 121% match on your First Deposit! 200% up to £/$/€300 + 100 Bonus Spins at Mr Play Casino! Mr Play Casino is a top-quality casino which is powered by the Aspire Global platform. This means that members of Mr Play Casino can enjoy an outstanding collection of games provided by some of the best game producers on the planet including Aristocrat, Betsoft, Isoftbet, Playtech, Playson, Microgaming, NetEnt to name just a few. Mr Play Casino is licensed in the UK, EU and Sweden. Click here and triple your First Deposit and get 100 Bonus Spins! Get 20 No Deposit Spins in Book of Dead + 100% up to £/€100 + 100 Extra Spins at Dunder Casino! Dunder Casino is by far one of the most popular casinos in Europe and the UK. They offer a great portfolio of casino games and a fantastic set of player offers. New and eligible players located in the UK and ROW countries will get 20 no deposit spins in the Book of Dead video slots immediately upon a successful account registration. This is followed by a first deposit bonus of 100% up to £/€100 + 100 extra spins. The minimum deposit for the first deposit bonus is £/€20. Dunder Casino is licensed by the UK Gambling Commission, the Malta Gaming Authority and the Swedish Gambling Authority (Spelinspektionen). Click here and become a member of Dunder Casino and get 20 No Deposit Spins and more! 50 No Deposit Spins and Multiple Welcome Deposit Offer Options at Casino Room! Casino Room has been a prime destination for online casino players for more than a decade! They offer a independent game platform which holds an incredible catalogue of casino games from top vendors such as Play’n GO, Scientific Games, Bally, Nextgen Gaming, Sheriff Gaming, Evolution Gaming, Yggdrasil Gaming, Aristocrat, Betsoft, Microgaming, NetEnt and many more. Here’s the deal that makes Casino Room stand out among the rest: new players will get 50 no deposit spins immediately upon a successful membership registration and Multiple Welcome Deposit Offer Options on their first five (5!) deposits. This means that you can pick and choose which ever bonus suits you the best. Casino Room is licensed and regulated in the EU and the UK. Click here and collect 50 No Deposit Spins and Multiple Welcome Deposit Offer Options at Casino Room!